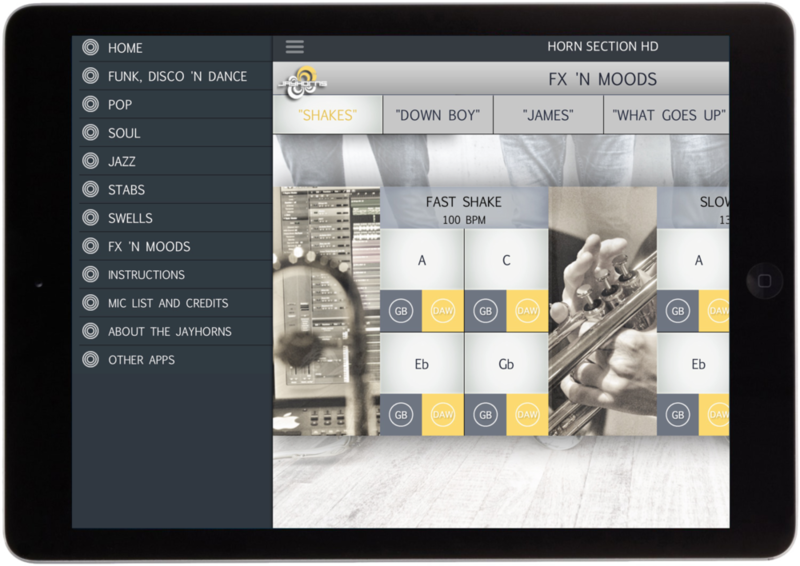 We proudly announce the first ever Horn-Section app for iphone and ipad. Real live horns for your songs, played by the Jayhorns! Right in your back pocket and recorded for IOS only! 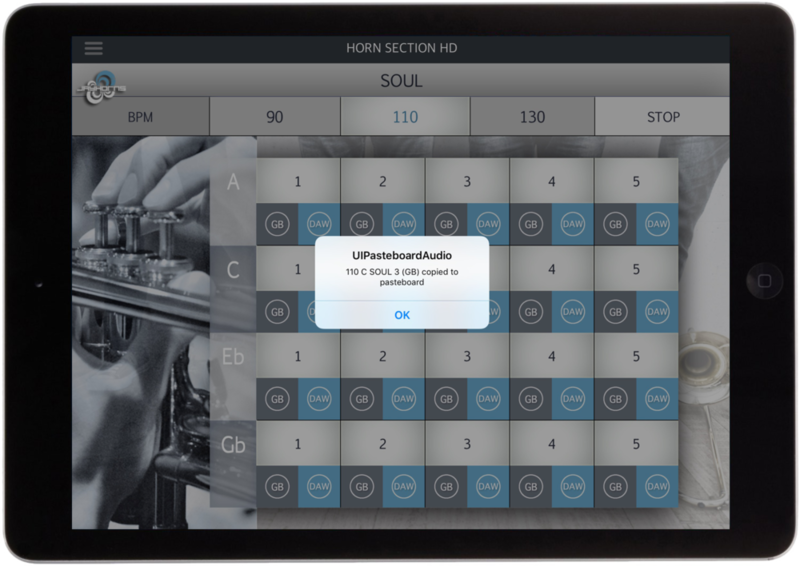 An app for iPad, iPhone or iPod Touch with dedicated design for all devices and full Audiobus and Inter App Audio support. 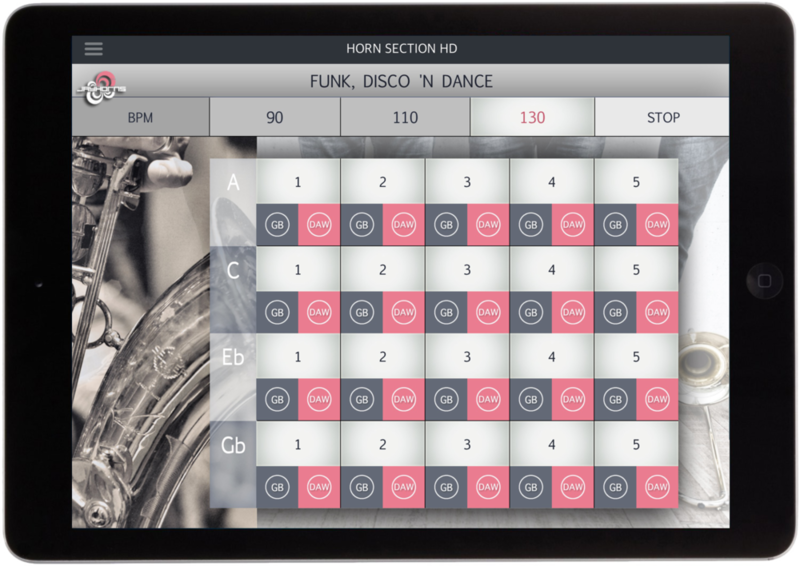 Enhance your tracks with these licks, stabs and swells and enjoy the live feel of a real horn section! And in GarageBand the licks follow tempo and key, the perfect 'brass' add-on! 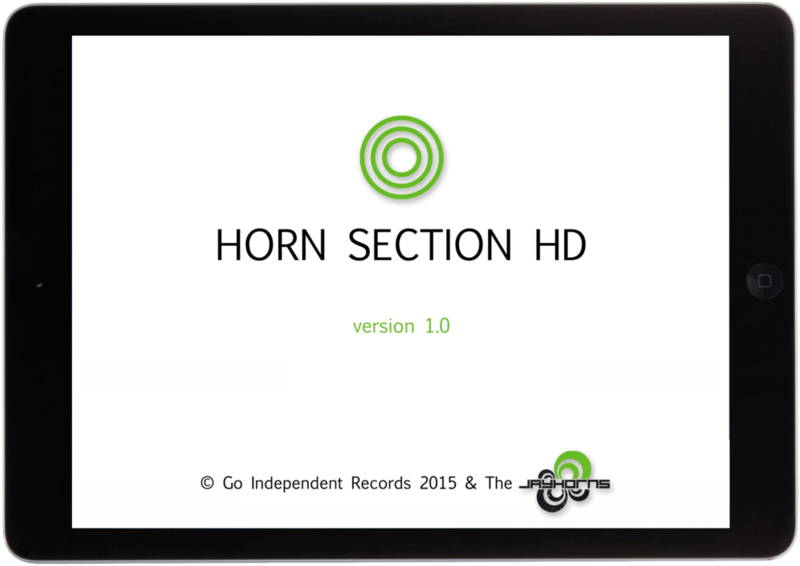 Horn Section HD was made in collaboration with Go Independent Records, the producers of Drum Loops HD! Check out the details in the App Store!